Looking for a great place to purchase quality Benjamin Moore paint in Howard County? Look no further than Columbia Paint – the one and only full service Benjamin Moore retailer in Howard County! Benjamin Moore is the most widely used and trusted brand of paint on the market, with a long history of producing warm and vibrant colors that beautify any room in your home for years to come. When you purchase Benjamin Moore paint from Columbia Paint, you’ll know you’re getting the best possible quality paint that will look great in your home. Read on to find out a few reasons why homeowners and professionals alike choose Benjamin Moore for their interior and exterior painting projects! Looking for a great place to purchase quality Benjamin Moore paint in Howard County? Look no further than Columbia Paint – the one and only full service Benjamin Moore retailer in Howard County! 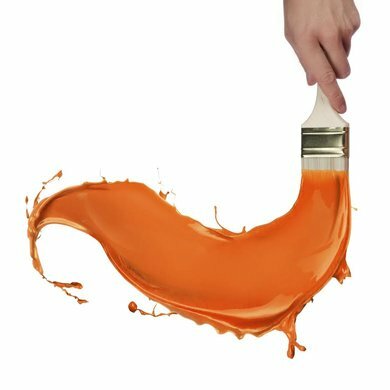 If you want the most color options out there, you’re sure to be satisfied when you come into Columbia Paint. Benjamin Moore (if you count their entire line of paints) has over 3,400 different colors to choose from. For example, Benjamin Moore has 164 shades of white alone to choose from! You want exactly the right color you had in mind for your room, and we want you to have it. Talk to one of our friendly representatives the next time you visit our showroom and have the perfect palette of colors custom-designed just for your home. Did you know that Benjamin Moore is able to match any color offered by any of their competitors? Why would you want to go anywhere else? Just bring in a sample with the color you have in mind, and Columbia Paint will be glad to mix you up a bucket of that exact color especially for you. Not sure exactly what color you want? Request a pint-sized color sample in any shade you’d like, and take it home to try it out! There’s no need to purchase a full-size bucket until you’re totally happy with the color you’ve picked.